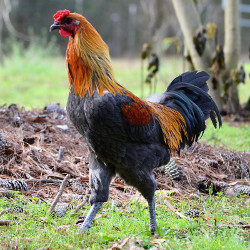 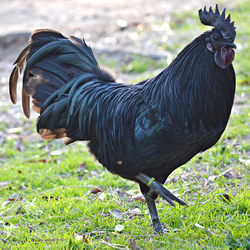 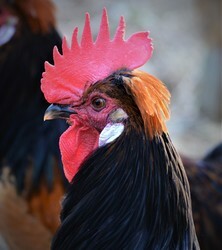 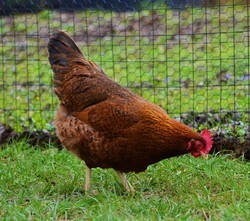 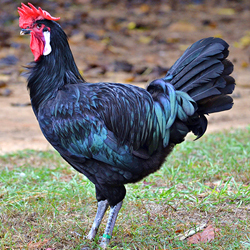 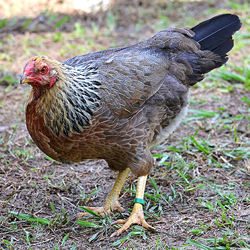 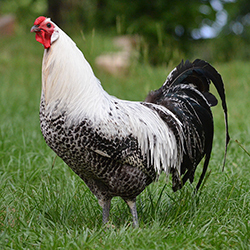 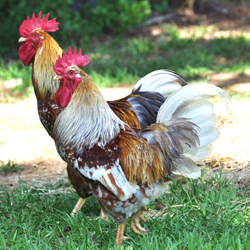 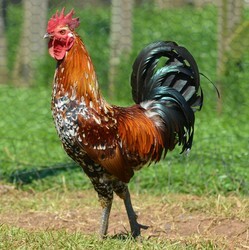 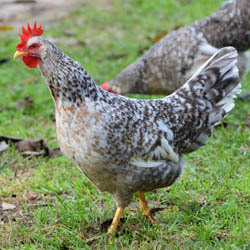 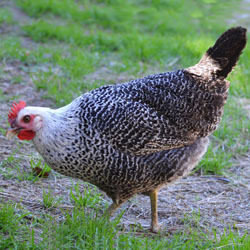 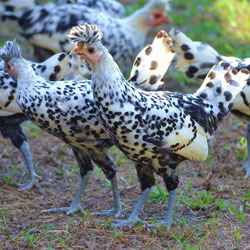 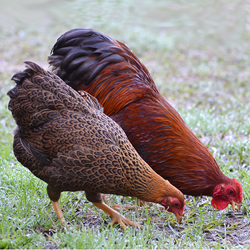 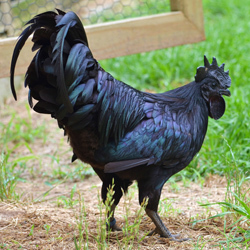 One of the most beautiful varieties of American game fowl -- a breed that is slowly vanishing in America. 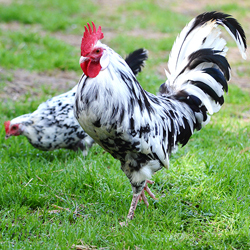 Originating in China, Cochins are beautiful and gentle giants. 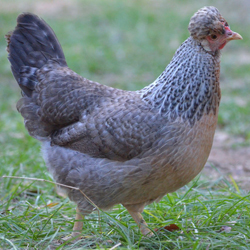 Available in either mottled or partridge. 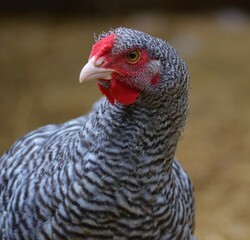 Flarry Eye Greys are beautiful game fowl that originated in Ireland and were probably brought to the United States in the late 1800s. 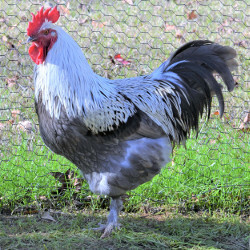 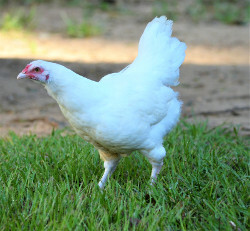 With its stocky body, white feathers, and white skin the traits of the Ixworth are decidedly tilted toward the English dinner table rather than the egg tray, but the hens do lay a large number of delicious eggs. 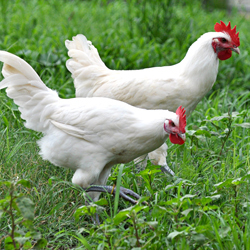 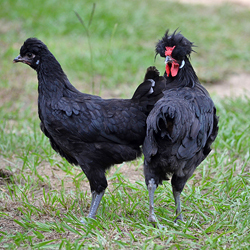 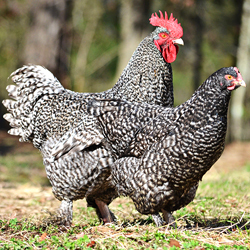 A storied dual-purpose American breed returns from oblivion to grace our backyard coops. 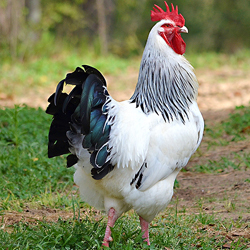 A large breed hailing from the Netherlands. 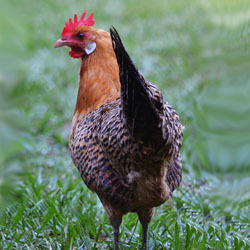 Flamboyant and hardy, it lays small to medium sized eggs.